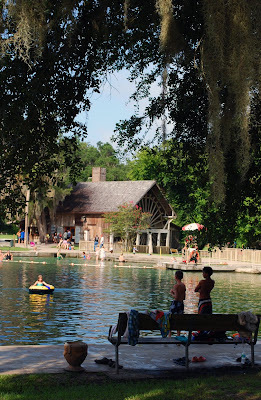 Since I started blogging about Florida, I have wanted to write about De Leon Springs, because it was one of the few places in the state where you can still get a sense of what it was like here generations ago. 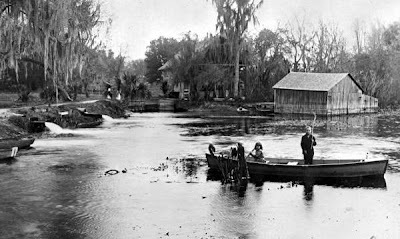 Like at most of Florida's major springs, evidence of a human presence goes back to the early indigenous people, in this case the Timucuans. 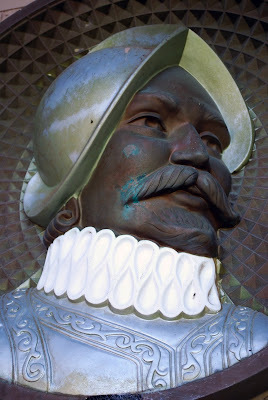 After being discovered by Europeans, it wasn't long before settlers built farms in the area and eventually became sugar and cotton plantations. 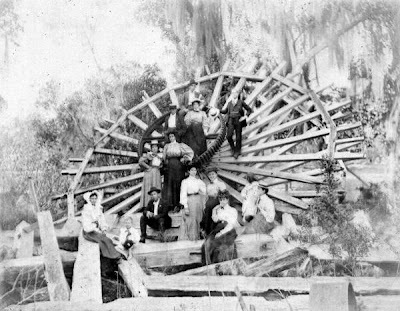 The Spanish built a mill on the site. 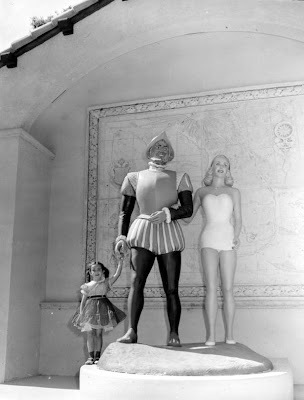 After the Civil War the area around the spring was transformed into a resort where "a fountain of youth impregnated with a delicously healthy combination of soda and Sulphur" was the main draw, according to the state website. 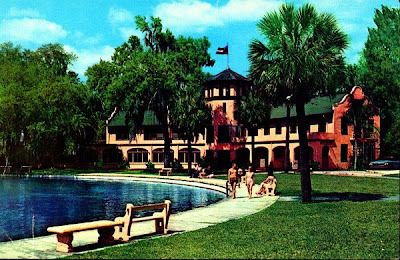 A hotel with 14 rooms, a restaurant, cocktail lounge and other amenities was built next to the spring in the 1920s and operated into the sixties. 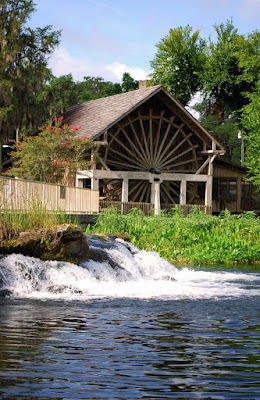 Located just off US 17, one of the major north-south routes into Florida before the interstate system was built, De Leon Springs became a major tourist attraction drawing motorists off the road with a variety of amusements. Sunshine Sally, the water skiing elephant headlined the "Jim Rusing Water Skiing, Boat and Jumping Show." 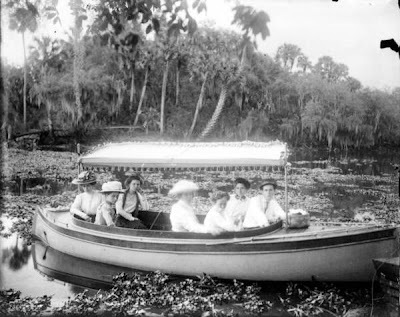 A jungle cruise led visitors past a giant Cypress tree and a monkey island. 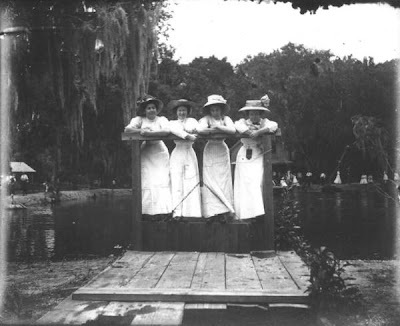 And there is evidence that as an attraction, De Leon Springs also had an Alligator Pen, Oriental Bridge and Wishing Well. It was advertised as "Nature's Cameraland." 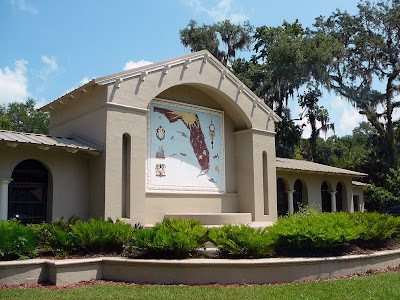 Today, like many of Florida's surviving vintage attractions, it is a state park. 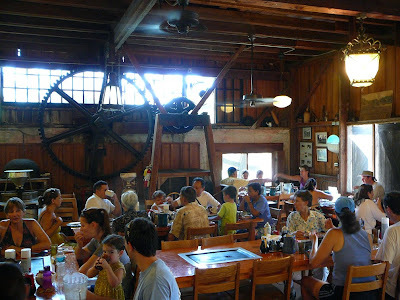 Aside from the swimming in the spring, renting a canoe or peddleboat, or browsing at historical displays on the springs fascinating history, the main draw is the Old Spanish Mill restaurant. 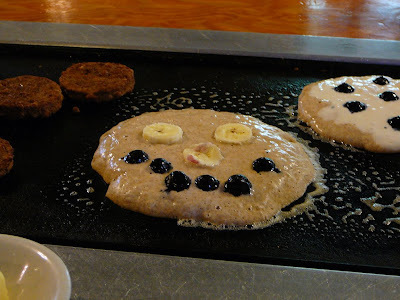 Each table has a griddle built into it, and servers bring batter made from flour ground on site, from which you cook your own pancakes. 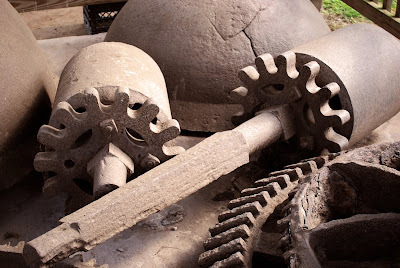 The un-air conditioned building is always packed and it features remnants from the original Spanish mill, including a rebuilt version of the original waterwheel. 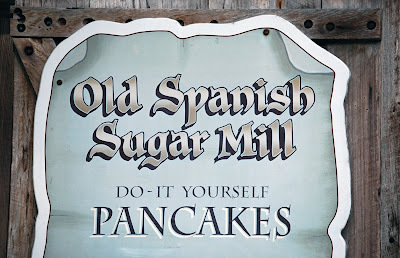 The pancakes are wonderful and everything is charming at this window into Florida's past. 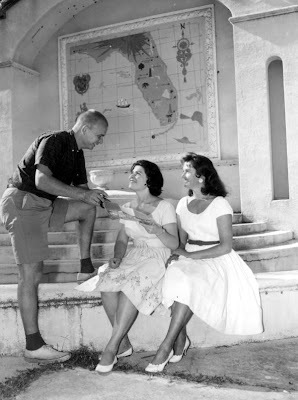 One of my favorite bits of old Florida -- nice historic images. Does anyone have a picture of the old cinder block billboard that is just North of the park? 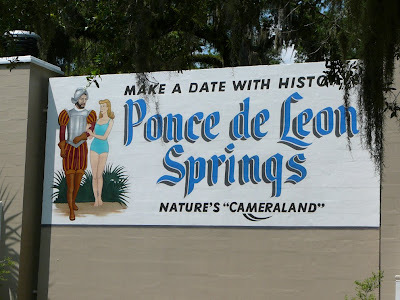 On the North side of the billboard was an ad for Deleon Springs with a picture of Ponce Deleon laying down and an Indian Maiden reaching up from the springs pulling on his beard. 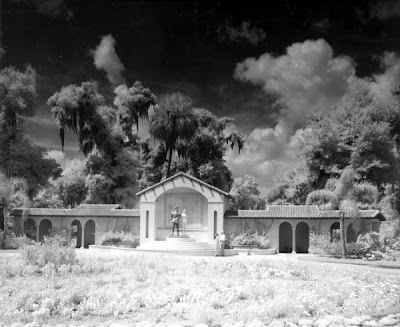 This was from when it was a privately own park. If you knew what to look at the reminents of this picture were visable up until a few years ago. Save the World Liquors sign!